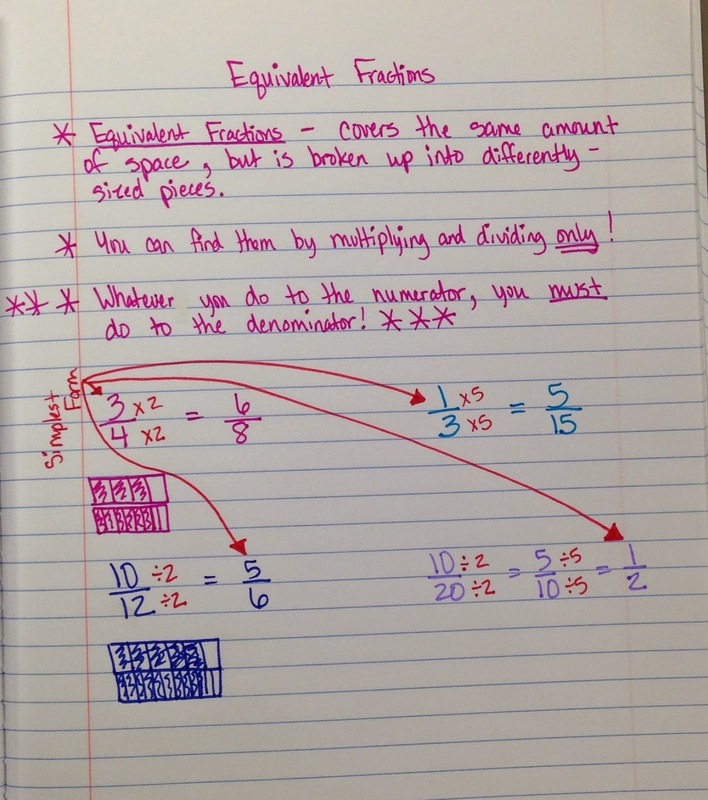 Equivalent fractions is all about self-discovery. 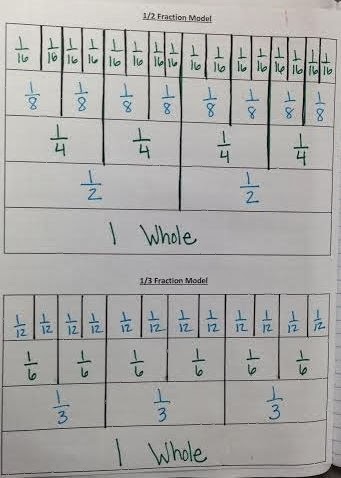 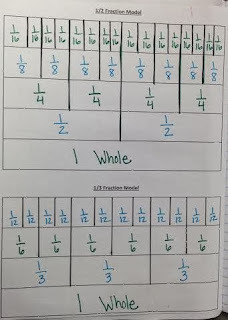 After the kids have seen enough models of fractions, they really notice the equivalence of some of them on their own. 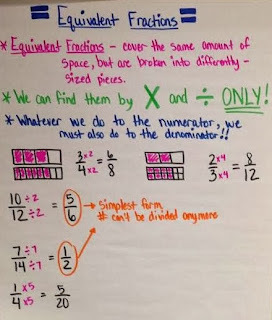 This leads us to a discussion about why the fractions are equivalent - because they represent the same amount, they're just broken into differently-sized pieces. 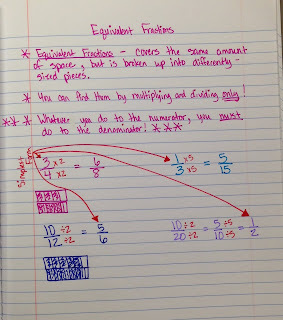 After drawing enough examples on their own, the kids realize there is a multiplication/division relationship as well. 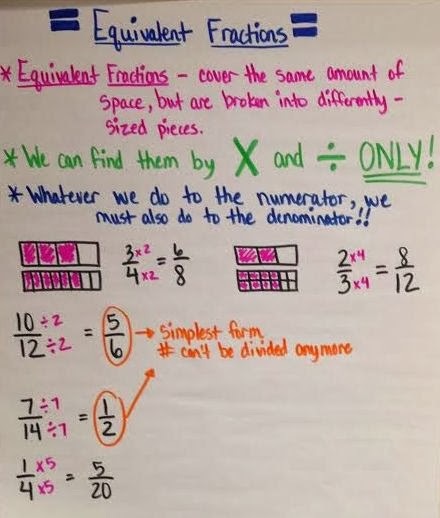 This saves them the time of drawing the pictures!